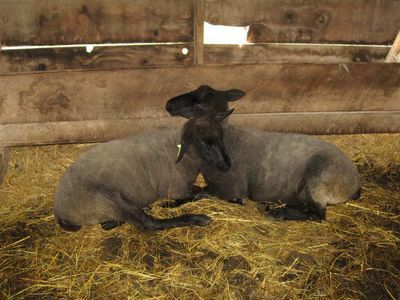 Click here to see another recent photo of these two black beauties. Happy, lovely sheep. I love these pictures. They look so happy to be together! Is it wrong that I find the matching shaving lines on their bums really funny? BB and Tana are so cute! I love your photos. They make me smile every time, no exception! It's like an endorphin rush every day. Hey now! I'm a mother! What sweet little babies !! They look so happy and content. Beautiful sheep! Looks like a lifelong bond! How lucky they are!! Yah Chloe. The llamas are boring but we are dynamic. More poultry pictures for the fans!